Being Alone | Connect. Evolve. Thrive. I was recently asked to speak at a local high school on the topic of resilience. I was flattered by the request, but my first thought was; “sure I know things about resilience from my professional life, but I may not be the best person to speak with in terms of personal experience.” And then I paused and laughed. I realized that I could come up with at least ten things in my life that had required resilience including the murder of a family friend, a major professional transition and having a child with a serious medical condition. The fact that I could not come up with these examples instantly was not a sign of creeping senility (though I am not ruling it out), but actually part of resilience. The fact that these episodes in my life no longer define me and that I do not carry them with me every moment of every day, showcases my resilience- my ability to bounce back. Letting Go & Remembering. Resilience is about being able to let go of past trauma and move on. If we carry our burdens around with us all the time, they are simply too heavy and we will not be able to move forward. Resilience requires a little bit of forgetting or letting go.However, this letting go is not about repressing bad memories. It is about integrating them. It is important to remember so that when we encounter difficult situations, we can access our own learning from the past. Resilience is about remembering the past in order to avoid that which we have learned is toxic and utilizing our hard won skills to handle what cannot be avoided. Knowing Who You Are & Being Able to Change. Resilience is about knowing who you are and what is important to you. Life is challenging and it’s a good idea to spend some time figuring out your values. What is important to you? Where do you want to go? Who do you want to be? Your answers will help guide you as you move through life. If you have thought about these things in advance, when you encounter difficult choices or problems, you will be able to make decisions that are in line with your values and who you are.However, the other side of the tension or opposition is the importance of being able to change. Life will inevitably challenge you and throw road blocks in the path you have chosen. Sometimes, resilience is about persevering and moving those boulders out of the way. But other times, resilience is about deciding that it’s time to chart a new path; that the rocks are too heavy or perhaps not worth moving in the first place. Life changes us and we should not be afraid to change course simply because it is different than the plan we once made. Connections and Being Alone. Resilience is about connections. Studies show that having deep personal connections with friends or family help foster resilience. 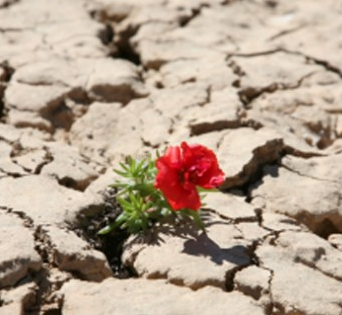 It is essential to cultivate such relationships so that when life knocks you down, you have someone to give you a hand up (even if the hand is really just an ear to listen or a shoulder to cry on).But resilience is also about the ability to be alone. It is about being able to sit with yourself, enjoying solitude and quiet. It is about sitting quietly without having to reach for your smartphone to text or post on social media. It is about being whole on your own without needing another person to fill you up. Feeling Deeply and Humor. Resilience is about being able to feel powerful emotions- from love to sorrow, from joy to pain, from passion to fear. Resilience is about being able to sit with these deep emotions- even the uncomfortable ones. You can never outrun those feelings. It may take a little while- a week, a month, a year, a decade- but eventually the things you run from will catch up to you. Being able to sit in sadness and feel it- really truly feel it- allows you to move on. Deep emotions are where resilience (and our very humanity) is cultivated.In opposition to this is the importance of being able to insert just enough distance between you and the emotion to laugh. I have come to believe that humor is an essential part of resilience. Being able to laugh at absurdity and pain is an important coping skill. There are certainly people who use humor as a way of not coping- and I am not speaking of this type. Humor, at its best, allows you to see something from a slightly different perspective. This slight shift can take enough of the edge off a situation to allow you to stay and be present. Your humor can be snarky and sarcastic or light and fluffy- but laughter is truly one of the best medicines. The last piece of wisdom I offered the students was that although I had highlighted these four tensions as keys to resilience, the truth is that there are as many variants as there are people in the world. What works for one person may not work for another. But cultivating resilience is about trial and error. And the startling thing about resilience is that one must encounter adversity to cultivate it. So the next time you find yourself knocked down by life, realize that life has offered you an opportunity to expand your resilience and if you need to say something snarky to life for that, go right ahead.